Rick: "my legs are flat and my resting heart rate seems high"
Joe: "you may be hitting it too hard too much"
Rick: "yeah, you're probably right but I want to be on the podium!" Joe: "I can get you there Rick but you'll have to tone your rides down a bit and gain the ability to push some serious watts..."
Rick: "let's give it a shot, it will either kill me or make me stronger! That conversation we had back in the fall of 2012 would eventually lead Rick to winning the first ever Fat Bike National race in Ogden, Utah. I've known and coached Rick for a while, it's gotta be close to 10 years I'm guessing, we've both lost track. I met Rick when he lived in San Antonio and owned a local bike shop. He has been racing since the mid 90's and has some pretty fancy bike handling skills. Around 2010 he made the move to Utah and started racing in the mountains and desert of southern UT. His long rides quickly became centered around climbing where 2000' of vertical or more was the norm. A couple of Tushar's in the books as well as a few seasons of cyclocross seemed to be turning Rick into a cyclist who could hold his own in bad conditions and heavy vertical. 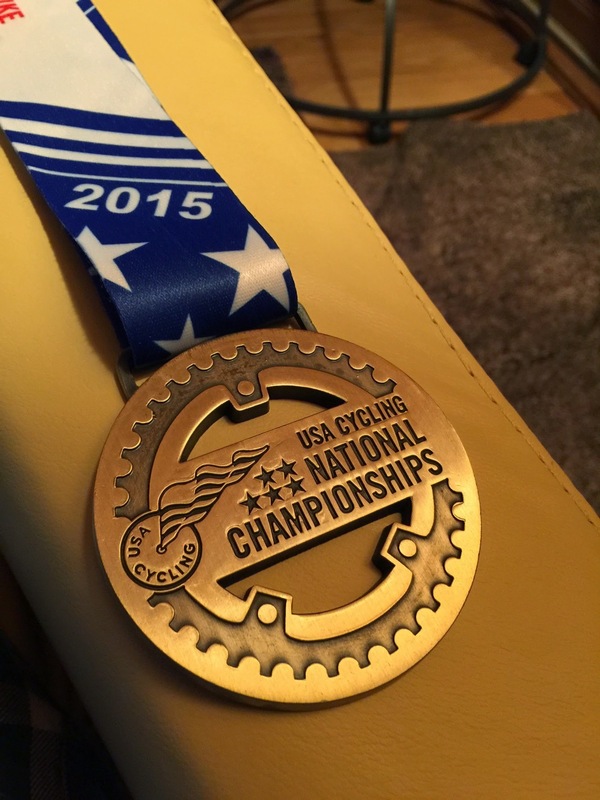 That all proved to be true with his 1st place in the Intermountain Cup Mountain Bike Series in 2014. He had won a series and thirsted for more. We knew going into Nationals was going to be rough and it was. With the starting sprint hitting ~30mph, the pace was a bit hot from the get-go. Rick has been trained to suffer, recover, regroup, and suffer some more. All that paid off as he rolled his Borealis fatty through the finish line. A dream come true. Stars and stripes. Every minute of hard training, recovery efforts, long days with a lot of vertical has payed big with a sweet 1st place at the first ever Fat Bike Nationals. Congrats to you Rick Morris on your amazing race! It's an honor to be a part of the journey.